What Happens in Vegas...Might Improve Your Health? Among the gambling, the partying, the flashy artificiality and all that comes to mind when someone says “Vegas,” there are unique opportunities for a different kind of fun, awaiting patrons who are looking to diversify their visit to Sin City. Stay Well Rooms at MGM Grand Hotel and Casino, are, in fact, Vegas attractions meant to make you healthier. The rooms were unveiled in late 2012, the first of their kind, using science and technology to increase guests’ well-being. The Stay Well Rooms contain 17 science-based features to increase health, happiness and relaxation. These features including a Vitamin C Shower Infusion, Stay Well Air Purification System, LED Dawn Simulator Alarm clocks intended to awaken guests gradually, optional aromatherapy, a mini bar stocked with nutritional goodies among a slew of other forward-thinking, health-improving amenities. Vitamin C Infused Shower in MGM Grand Stay Well Room. Remaining healthy does come at a cost, though not remarkably higher than what it already costs to stay at MGM Grand. Guests can secure one of these rooms by paying a $30 upgrade. MGM Grand hotels first opened on December 18, 1993, with four 30-story towers at a staggering 280 feet tall, and 5,044 guest rooms plus 751 suites. Being a part of the heart and soul of Las Vegas, the hotels have more than 2,500 slot machines and an assortment of table games including poker, craps and roulette. Guests can also go shopping, go to shows and visit spas. With over 170,000 square feet of gaming, MGM Grand is not short on attractions to draw in new guests. But that hasn’t stopped them by bringing in even more tourists by more than doubling their already existing number of Stay Well Rooms. Stay Well Rooms, which have proven very popular, are expanding from 42 existing rooms to 171, plus suites, which will occupy the entire 14th floor of MGM Grand’s main tower. They were pioneered by Delos, creator of Wellness Real Estate™, and founder of WELL Building Standard ®. These healthful rooms are growing in popularity, especially with people in their late 20’s to early 40’s, a wide range, though according to Public Relations Coordinator for MGM Resorts International, Jessica Weaver, an understandable one. Vegas, a city where guests come to “escape and unwind,” as Weaver says, is offering a number of other new attractions for just that purpose, including a public park, the artwork of famous female artists soon to be shown at the Bellagio, a hotel getting a complete makeover, restaurant openings and shows. At the Bellagio Gallery of Fine Arts (BGFA), “Painting Women: Works from the Museum of Fine Arts, Boston” will open February 14, and feature the works of female artists between 1860 and 1950. The purpose of the display, which will contain 34 paintings total, is to demonstrate not only the artistic talents of these women but their activism. The 43-story, gold tower once known as THEhotel, is now being renovated, and the Delano will be unveiled in autumn of this year. When renovations are complete, it will have transformed into a tower of 1100 suites, the same number of rooms as it had before, but revamped into more luxurious dwellings. Along with the redone rooms, the Delano will also have new bars, lounges, nightclubs and restaurants for guests to enjoy. THEhotel, a well-known brand in Western States, especially Nevada, is not well-known internationally like its replacement, Delano, and is a non-gaming hotel, unlike many of the hotels in the city. Also set to open its doors in 2014, The Cromwell. The lavish “luxury lifestyle” hotel is still under construction, but when it opens it will be complete with a casino, dining, and luxurious outdoor swimming pool. The boutique hotel will start welcoming guests in the spring, and Total Rewards members can start booking rooms as of Feb. 21, reservations being made available to the general public three days later on the 24. A number of new shows have come to Vegas this past year, including Michael Jackson ONE by Cirque du Soleil at Mandalay Bay. That is not the only show, though, in a city with no shortage of performers and performances for its tourists and residents to attend. Also recently setting up camp in the city is Hakkasan, at MGM Grand, LIGHT at Mandalay Bay, PRISM by Jabbawockeez at Luxor and El Loco Roller Coaster at Adventuredome at Circus Circus, set to open at the end of this month. Last but not least, what’s a trip to Vegas without dinner out on the town? And with a slew of new restaurants that have opened over the past year, and continue to open into 2014, the Vegas-bound will find plenty to dine on. Among the openings, Tom Colicchoo’s Heritage Steak at The Mirage opened in August. PUB 1842 at MGM Grand by Chef Michael Mina in June, Five50 Pizza bar & Lounge at ARIA in July and Hecho en Vegas at MGM Grand on December 28. Also, Double Barrel at Monte Carlo will open its doors in spring of this year, as will 800 Degrees Neapolitan Pizza at Monte Carlo and Sambalatte, a popular Vegas coffee shop, also at the Monte Carlo. Steffi Porter is a creative writer and journalist who has written for The Daily Hampshire Gazette, Hearst Newspapers and the Houston Chronicle. 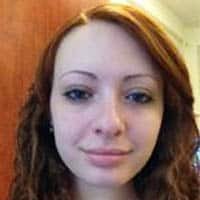 She is a former writer and editor for her college paper, the Massachusetts Daily Collegian and an alumnus of the Institute for Political Journalism and the Fund for American Studies.